The changes are subtle. And if you’re looking for some kind of splashy way of integrating Maschine with Traktor or transforming how you play plug-ins, this isn’t it. But some point updates to two flagship Native Instruments production tools are worth applauding. They make these tools not only more useful, but give them more longevity. Maschine sounds better. Maschine and Komplete Kontrol play better together. And whereas hardware/software integration sometimes seems designed solely to lock you in to certain products, Komplete Kontrol now not only works with your host and other gear, but works even when it’s unplugged from your computer – as it should. Both are free updates, and both also now include for free Komplete Select. For Maschine users, that’s a nice add-in — and actually, this is kind of what I run mainly on my cramped SSD on the go. You get a nice upright piano, the terrific Monark Minimoog-inspired emulation (which has an amazing filter model), Massive (no intro needed there), an electric piano, the beautiful Reaktor Prism synth, and more synths, keys, drawbar organs, West African rhythms (why not?) and a really good bus compressor. More Drum Synth sounds. The Drum Synth was one of the best parts of Maschine 2, moving the machine beyond samples to real tunable, playable synthesis. There’s now a Cymbal module with “Crash” and “Ride” modes – yeah, you needed that. And “Hi-hat” accordingly gets a “Hybrid” mode. The Snare and Tom get new modes, too (dubbed “Breaker” and “High,” respectively). Better-sounding reverbs, more effects, guitar cabs. If you liked the old Reverb effect, it’s still there, renamed “Legacy.” But there’s a new reverb to try out, with hall and room modes. There are new effects, too – a new distortion mode, more transparent limiter, and from Guitar Rig a new selection of cabinets and mics. Easier to play, better integrated with Komplete Kontrol. The Arpeggiator has a hold function (on keyboards and pads). And for us keyboardists, there’s really a reason to use a keyboard with Maschine and not just the pads. Aside from the ability to work in both directions with Komplete instruments and metadata, and save settings from each, you can now use the keyboard’s touch strip modes (including the wacky bounce-y ones, fun for modulation). You can see octaves and key switches. There are a bunch of other tiny details and enhancements that have clearly kept the engineers busy, but I’ll let you dig through the readme if you want to get to that level of detail. 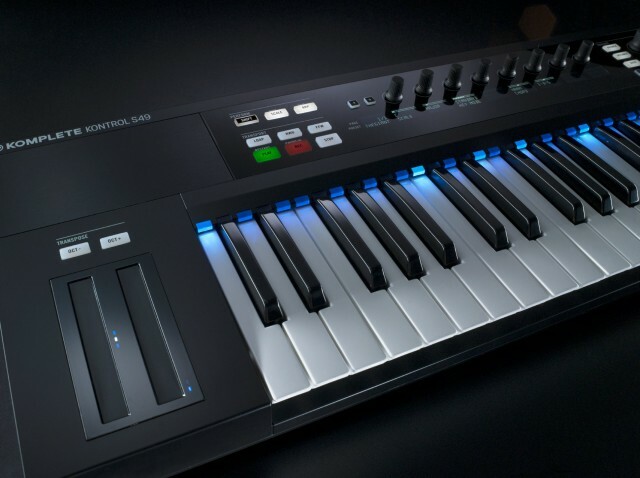 In keyboardland, Komplete Kontrol 1.1 delivers a bunch of features we knew were coming but that finally move this from a “sit on the shelf” toy to “oh, okay, now I remember why I thought this was a good product idea in the first place” tool. Yes, you can get MIDI notes from the Scale and Arp features out to your host. And finally, you can access touch strip settings from the hardware. Previously you had to dig into a menu and … yeah, let’s just say it was enough work to make the feature kind of useless. Now, the touch strips are fun and useful, and you can easily choose whatever you want the touch strip to do from either the Komplete Kontrol software or Maschine. You can also tempo sync modulation on the touch strip. This is the sort of thing that previously required Lemur. Very cool. Oh, Hell, yeah. So, that moves my rating of this keyboard from “admire from afar” to “buy.” Because let’s be clear about this. It’s a practical thing. Most of us now own some kind of synths, especially since some are dirt cheap. And it’s a philosophical thing. If you drop your laptop on the floor, or just don’t want the temptation of booting up your machine and looking at some depressing email or Facebook instead of actually making music, the pretty, pricey music hardware you own should not – I repeat, not – turn into a useless brick. End of rant. It’s fixed. Good stuff, and as I plan to take this gear on the road I’m really pleased. So, hey there, Komplete Kontrol S25, time to see if you fit easily into my suitcase. 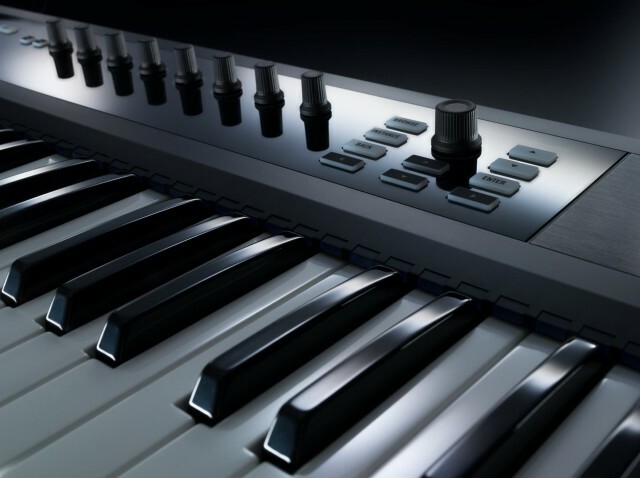 Of course, Native Instruments has some competition nipping at its heels – particularly in the form of Akai’s own controller keyboard, the Advance. Now, interestingly, though, several of the issues I raised back in January have been addressed by NI. In fact, the things that most bothered me – the inability to use Komplete Kontrol in standalone mode or to work with plug-ins and hardware with the built-in arp and chords and scales – were just fixed with this very update. But that still leaves an interesting horse race, and I hope we’ll have a full review of the Akai soon. What are you using? What do you want to know? Let us know. 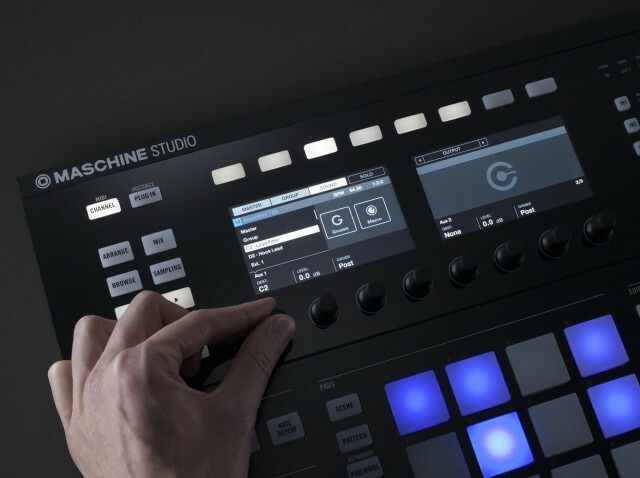 Full details on that Maschine update found on the forums.